Warm weather months are the perfect time to include your dog in your family fun plans! 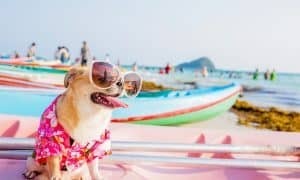 However, with rising temperatures as we head into summer, dogs can be exposed to a host of potential hazards, from heat exhaustion and burnt paw pads, to exposure to fleas, ticks, and outdoor toxins. 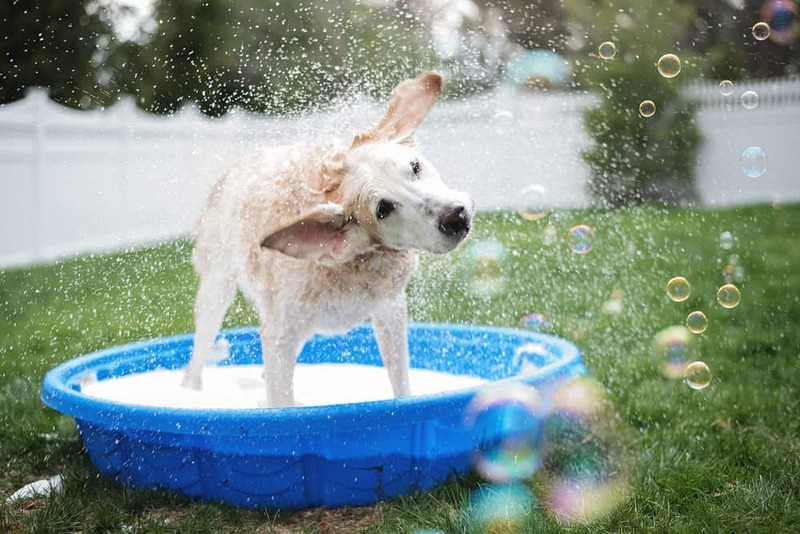 Follow these guidelines and tips to keep your dogs safe, cool, and having fun all summer long! 1. Adjust your walking schedule. 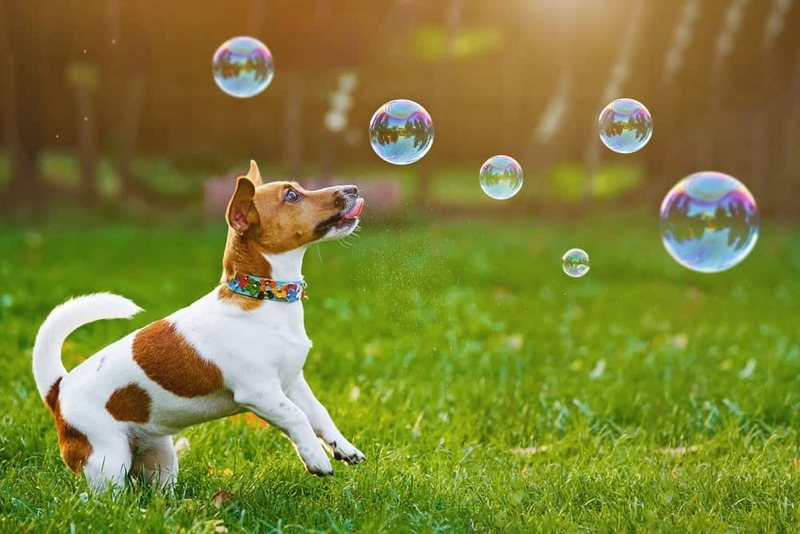 Because your daily exercise routine can be rough for both you and your dog when done during the hottest times of the day, consider taking your dog for his daily walk or jog later in the evening or early in the morning, while the weather is a bit cooler. This way, you can still maintain necessary daily exercise for your dog’s physical and mental well-being, without risking heat exhaustion. 2. If it’s too hot for you to go barefoot, it’s too hot for your dog, too. 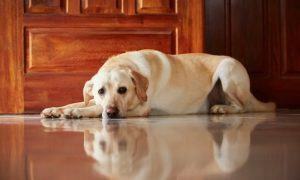 Because asphalt and concrete sidewalks, streets, and driveways can reach scorching hot temperatures in the summer months, avoid allowing your dog to spend too much time standing on these surfaces. As a general rule of thumb, if it’s too hot for you to be barefoot, it’s too hot for your dog, too. Instead, either allow your dog to walk primarily on grass, mulch, or sandy paths or make sure his delicate paws are protected with a set of heat resistant dog booties. 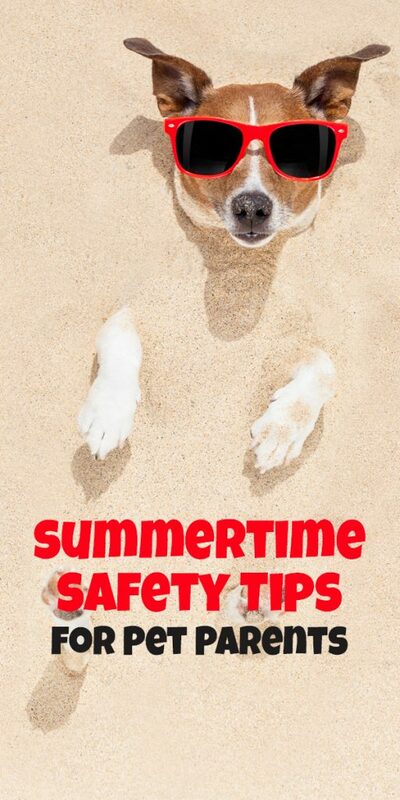 In the summer months, check your dog’s paws frequently for cuts, burns, discoloration or bruises. 3. Stay hydrated! Always bring plenty of fresh drinking water along on your warm weather outings. 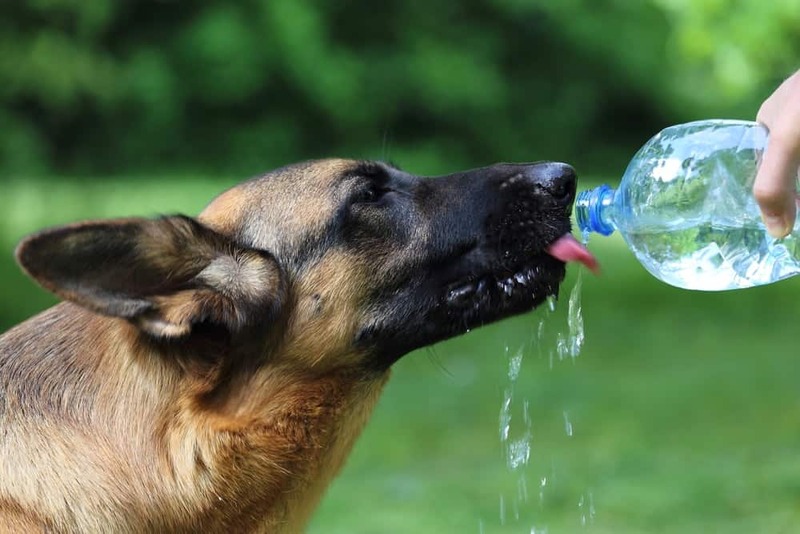 Whenever possible, bring twice the volume of water that you believe your pooch may need. Constant access to cool water is vital to preventing heat exhaustion. Along with your water bottle, don’t forget to bring along a travel bowl, too! 4. Don’t forget the sunscreen! Like humans, dogs can get sunburns too, even with all that fur! 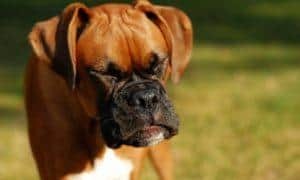 While very short-haired dogs are susceptible over their entire body, most dogs are at risk of sunburn on noses, ears, bellies, and other areas with little fur. 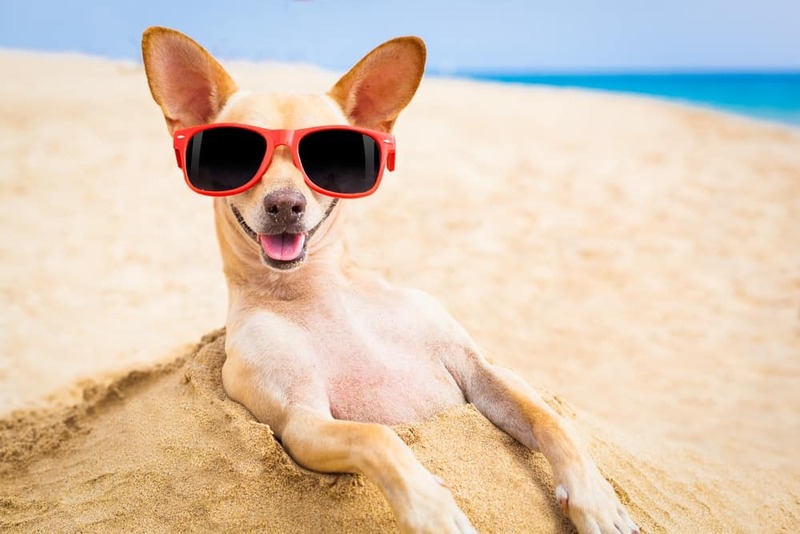 But, because human sunblock contains substances that can be highly toxic to animals, only use dog-safe sunscreen when protecting your furry best friends. If your dog has short, thin, or no fur, outfit them with a lightweight UV blocking t-shirt designed especially for dogs. 5. Provide plenty of shade! Whether you’re at the park, at the beach, or in your own backyard, make certain that your pup has easy access to ample shade at all times. Some dogs absolutely adore being outdoors, even in harsh, hot weather. If your dog simply prefers being outside, make sure he’s got a nice, cool place in the shade to rest. 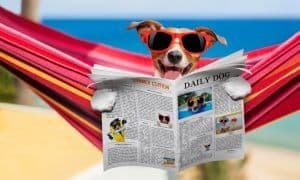 A well-ventilated dog house or a cooling mat under a shade tree along with unlimited access to fresh, cool water can be paradise for your outdoorsy dog. 6. Consider a summer haircut – maybe! Many pet parents opt for summertime haircuts to keep their dogs cooler in warm weather. For some breeds, a short cut is welcomed relief from the heat. For double-coated dogs, however, shaving can actually make matters worse. Certain breeds, like German Shepherds, Golden Retrievers, and Huskies, have coats specially designed to keep them warm in the winter and cool in the summer. While their thick undercoat may seem hot and uncomfortable to humans, it helps to lift their heavier, warmer top coat away from the body. 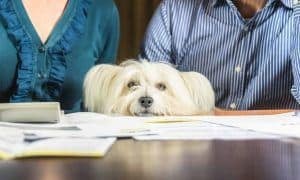 Before shaving your dog, talk to a trusted groomer or veterinarian about whether it’s the best option for your unique dog. 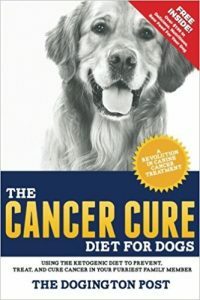 All dogs, however, will benefit from having thick fur trimmed from around paw pads which play an important role in keeping cool. 8. If you can’t take your dog with you, leave her at home. Many of us love taking our dogs for car rides – almost as much as our dogs love them! 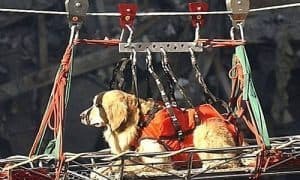 But, in the event you must run a few errands or make a few stops, the summer months are absolutely not the time to bring your dog along for the ride. Temperatures inside a parked car can soar to dangerously high levels, even in a matter of minutes, even with the windows down. Not only is it dangerous, and often deadly, to leave a dog in a parked car, it’s illegal in many municipalities. 9. Know (and watch for) the signs and symptoms of heat exhaustion! 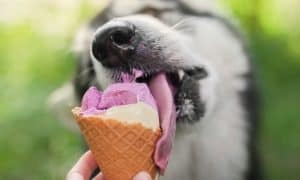 If your dog seems to have difficulty breathing, is panting heavily, drooling excessively, showing signs of confusion, mild weakness, or even collapse, immediately take steps to cool him down. First, get him to a cool or shady area and offer him fresh, cool water to drink. 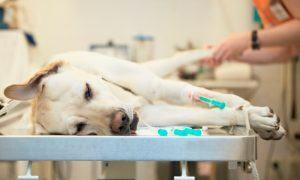 Pour water over his chest, armpits, and paw pads, and get to a veterinarian as quickly as possible. Most of all, have fun! Your dog loves nothing more than the love and attention you provide him. And remember, if it’s too hot outside, there are plenty of ways to have fun indoors! Check out a few of our favorite ideas in this article of Bad Weather Boredom Busters!